It is doubtful that the Weinstein scandal is news to anyone at this point. One account of his behaviour has had a snowball effect, unleashing a torrent of victims to make their voices heard – again, in several cases – and not only those affected by Weinstein. Accusations against a large number of individuals, across multiple industries – fashion, film, politics, journalism and more – have come to light over the last few weeks, resulting in many of these individuals stepping down, or being fired. Included in these are the former Amazon Studios chief Roy Price; former U.S. President George H.W. Bush; former Vox editorial director Lockhart Steele, and more. Bill O’Reilly was fired from Fox News earlier this year amid sexual harassment claims, and though it had no effect on his position, Donald Trump’s history of sexual harassment came to light during his run for the presidency in 2016. So how does this relate to fashion? The reach of those in power does not necessarily remain within one industry, within one geographical area, within one timeframe – and considering the power both fashion and film seem to hold at the moment, it’s not difficult to see the connection. 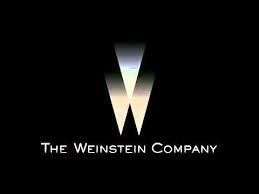 Weinstein was an investor in the Halston brand, an executive producer of Project Runway, a founder and financial backer of his wife’s brand Marchesa, a friend of Anna Wintour’s – the list continues. His reach went beyond hollywood, as the accounts of several models proves, including among those women Cara Delevigne; and it speaks to the lack of protection and the lack of responsibility taken across both industries. Accounts of the normalization of these behaviours continues to come to light. As stated in a recent article by The Rolling Stone, “according to the exposés, Weinstein’s actions appear to have been abetted and normalized by executives, assistants and producers in his employ.” Those around both the perpetrators and victims reinforced the idea that this was normal, and that the behaviour should be accepted in trade for career potential – or at that the victim should not speak out about it for fear of being blacklisted, or not hired in the industry, in the case of those including Gwenyth Paltrow. Again – how does this relate to fashion? While this is not a novel example, photographer Terry Richardson continually comes to mind. The accounts of his harassment and assault have circulated for several years, leading American Vogue to stop working with the photographer in 2010, and for Condé Nast International to announce on Monday that their publications would no longer be working with him. A representative from the company told Gothamist that, “Condé Nast has nothing planned with him going forward. Sexual harassment of any kind is unacceptable and should not be tolerated.” Numerous designers and brands have also recently ‘dropped’ Richardson, Valentino and Prabal Gurung among them. Some of his latest work can be seen in the August issue of Vogue Paris, and in the November issue of W Magazine. While the fashion industry has seemed to distance themselves from Richardson, in some respects, it has taken until this week for others to come out and declare their separation from the predatory photographer. Why? What took so long? In an industry that prides itself on setting an example, setting the style, setting the tone for the time: why has it take so long to protect women – not that they have been the only ones to suffer these abuses – in an industry that runs on their hard work and creativity? The efforts being made in the moment to make the industries safer for everyone are not to be discounted. New York State assemblywoman Nily Rozic is in the process of introducing legislation to protect young women – and others, one hopes – from harassment, in what is intended to be an addition to the state’s standing antidiscrimination and anti-harassment laws. “If there is anything we are learning from over the past few weeks is that we have reached a turning point whether to accept sexual harassment as a norm, or end the cycle by enacting protections and providing a path of recourse,” Rozic said in a statement. “No one should ever experience sexual harassment in or outside of the workplace.” She also credits the fact that models are not considered employees by their agencies or the companies they model for exempts them from coverage by these sexual harassment laws – perhaps another area that needs change. This effort and the removal of many abusers aside, it does make one wonder why it took so long for the fashion industry to reach this point of creating a safer working environment, and whose name will be in the next headline. Hopefully this is not simply a momentary fad to soften the blow of consumers with a conscience, but that instead there really is a longstanding change in the works.